PURCHASE MORE THAN ONE AND GET A REDUCED PRICE. A dropped .58 or .54 caliber bullet that was found in the Culp's Hill area - part of the collection of a local Gettysburg family. I will include a letter of provenance. 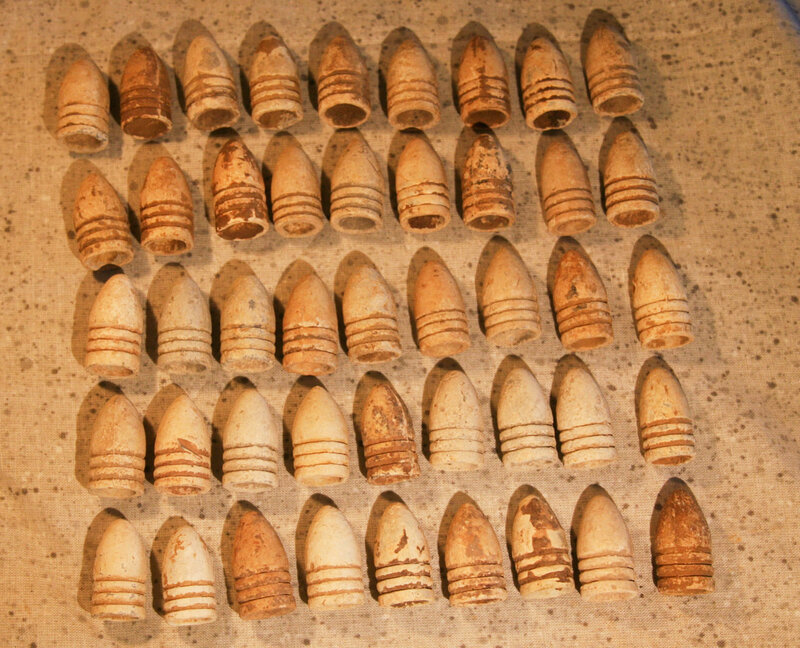 YOU WILL RECEIVE A DROPPED BULLET - ALL ARE IN SIMILAR CONDITION WITH OCCASIONAL MINORE NICKS OR SCUFFS - THERE MIGHT BE BULLET VARIATIONS IN THE MIX SUCH AS BULLETS WITH CAVITY MARKS, BUT THEY WILL BE TAKEN FROM THE GROUP RANDOMLY TO FILL EACH ORDER.